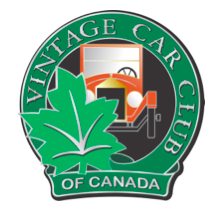 The Vintage Car Club of Canada sets out to assist in the acquisition, restoration, preservation, salvage and maintenance of and to promote interest in motor vehicles, 25 years old or older; their accessories, historic lore and associated items. Do you have a vehicle 25 years old or older? Are you looking for parts, literature, or just a little support? Do you want to connect with others who have the same vehicle? If you need any further information about the Vintage Car Club of Canada, please contact the webmaster and your query will be passed on to the appropriate person.